Sainesh Solanki continues his blog series on using Schematic CAD tools for cable and harness design. In this 4th installment, Sainesh discusses how to clearly lay out the cable assembly drawing on the schematic page, along with the electrical schematic for generating a netlist for testing and DRC later on. Figure 1. The face of the connector head comes first from the library. However, as stated before, it is up to the user to decide how to organize and structure their libraries. The key thing to note is how do you want to lay them out in the schematic editor and what will work best for the circuit board designer. In my case, the side-view layout drawing, PCB schematic representation, and line item bubble sub-parts follow in placement. After the connector head is laid out as seen in figure 2, we proceed with laying out the rest of the cable drawing schematic page in this fashion. The other connector heads are laid out in the same format with the exception that the face will be rotated (which can be done by pressing the spacebar). 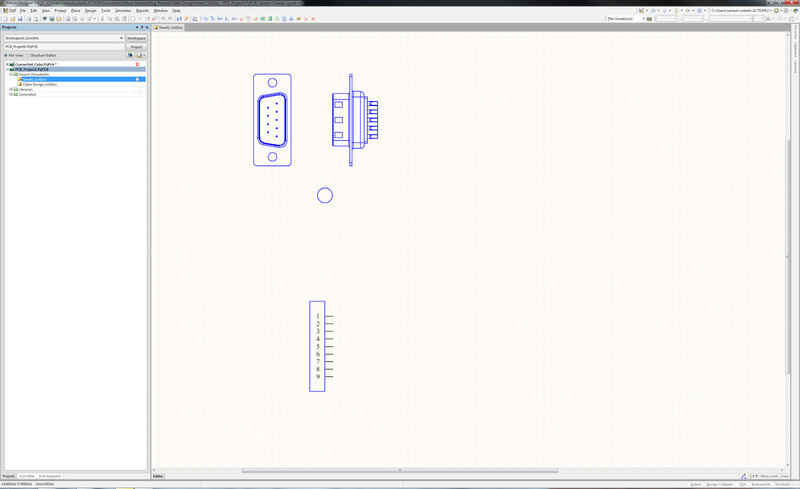 Of course, you may be designing a harness with many different end-points, so appropriately space and rotate the connector head parts as needed. 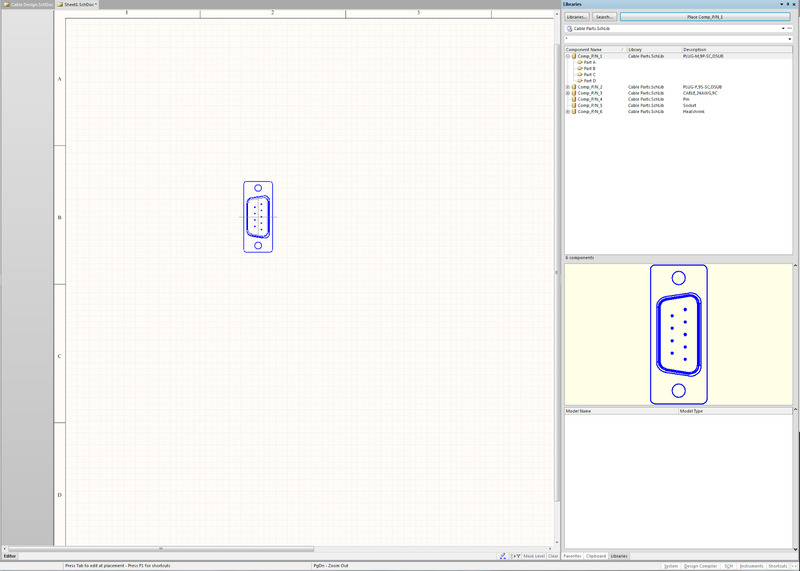 When you have appropriately placed the parts within your schematic layout, double click on the line item bubble part and enable the visibility for the line item and type in a numerical value (i.e. 1 or 2, etc). After placing both the line item bubble and schematic symbol, you will use the Line and Bezier Curve to create the cable. The figure below shows the highlighted part that is the bezier curve connected with the lines. 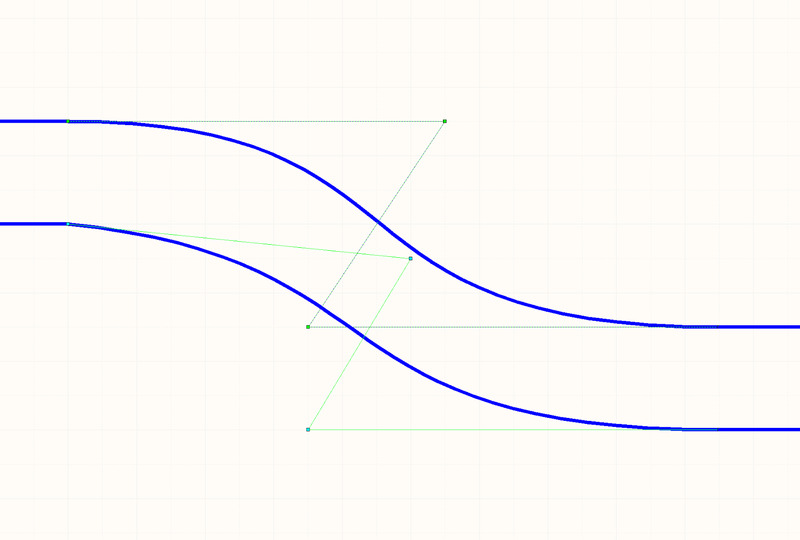 An alternative to layout drawing this parallel bezier curve representation of the actual cable, is to use thick graphical lines. This may be especially useful on large sheet sizes with harness designs where you want a diagram with scaled cable lengths, and corner locations. This is known in the cabling industry as a “nail board” diagram, and when printed to full scale is used on a backing board with nails at corners for assisting in manual harness assembly. An example of this is shown in figure 4. Figure 4. 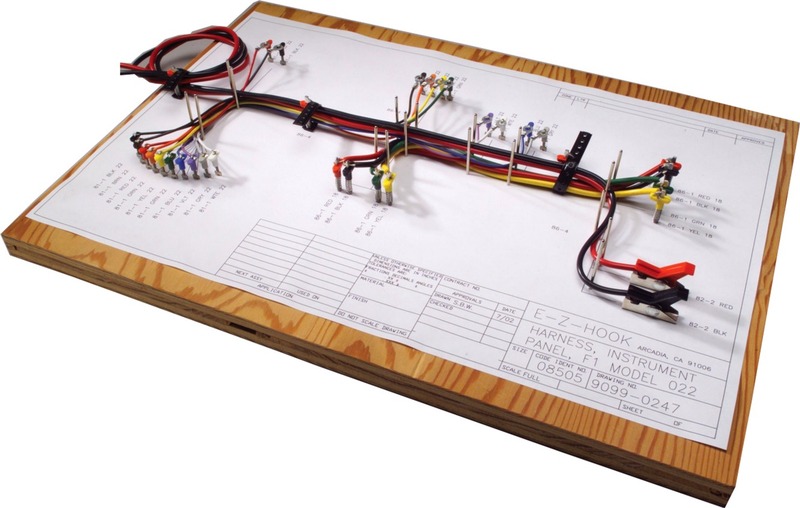 Using a “nail board” with the schematic cable drawing for harness assembly. The cable drawing is laid out on the top center of the page. But we also include a corresponding electrical schematic drawing below it. 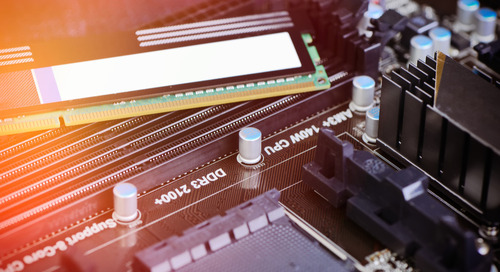 The electrical schematic is used with the schematic symbol sub-parts from the cable head assembly library components. Apart from specifically symbolizing and calling out the cable and pin assignments, this schematic version of the cable drawing enables netlist creation from head to head, which may be used later on with cable test jigs in the factory. 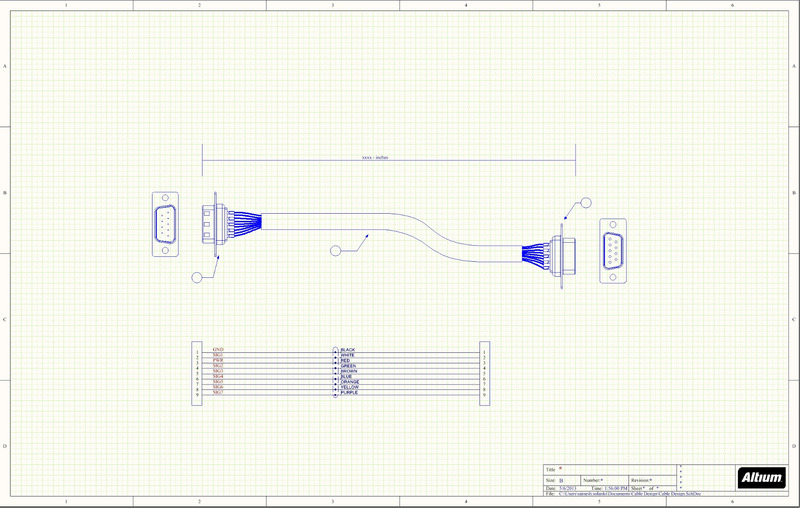 It will also facilitate some cabling design rule checks, which we will look at in the final blog in this series. The finalizes design of a high performance cable should look as shown in figure 5. 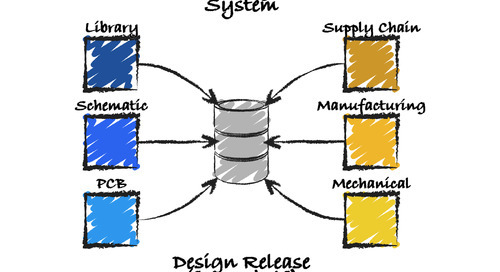 In my next blog, I will discuss the areas of design check, B.o.M cross-check, and adding the design and fab notes.